With two technology giants Apple and Google fighting out each other for claiming the top position in mapping technologies, a silent challenger has rapidly approached the top position without too much hassle. 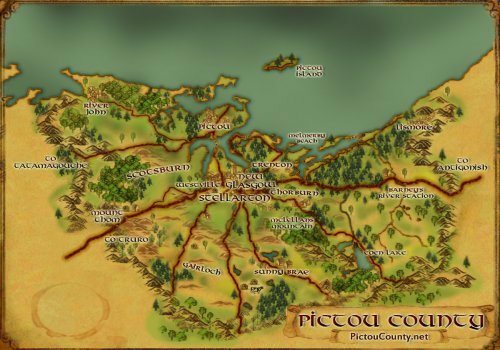 OpenStreetMap launched 10 years ago with the slogan of Free Wiki World Map has taken developers and map lovers by surprise, providing editable map data, making it easier for people to interact and navigate. Even though the competition has already previously mapped every inch of the globe, their restrictions on availability combined with complexity in rendering of information and lack of detail in many regions has made people to start using OpenStreetMap as an alternative. OpenStreetMap started in the UK back in 2004 and is still largely dominated by European input, however North America use has grown over the past few years with the help of many organizations such as Esri who has included OpenStreetMap as one of their free base map layers. Since OpenStreetMap is a crowd sourced application, its future depends highly on its ability to attract more active users. So to help celebrate 10 years of OpenStreetMap we have created a series of articles dedicated to open source mapping and web applications that have been either built with or that make use of OpenStreetMap. 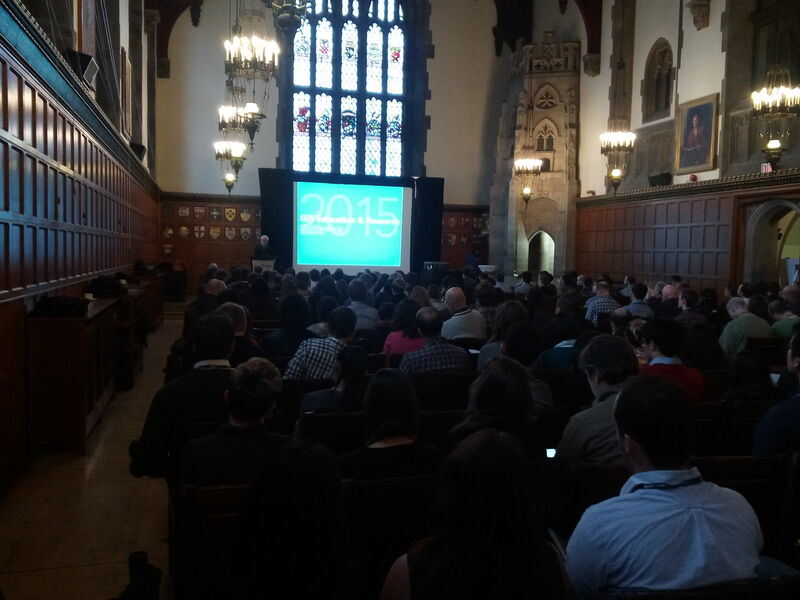 The Second edition of the GIS in Education and Research Conference, organized by Esri Canada in partnership with the University of Toronto was held at Hart House last Monday ( November 30, 2015). 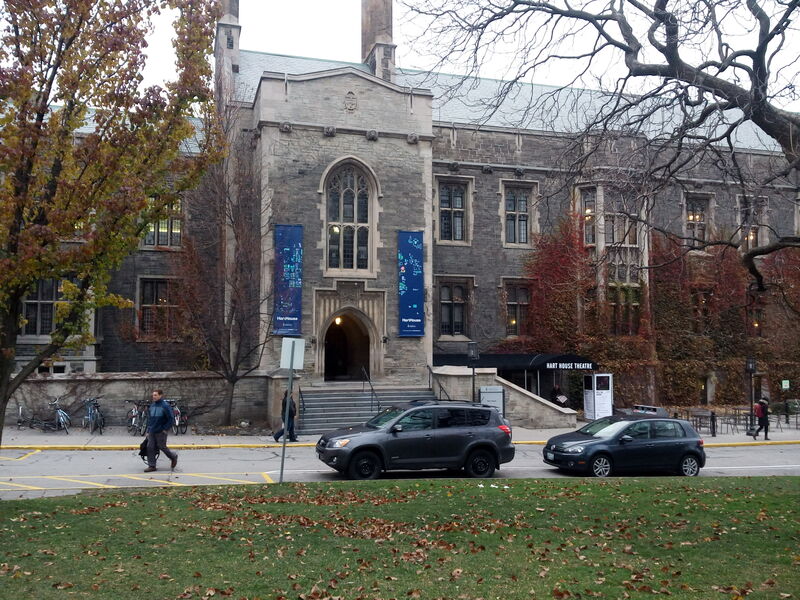 The venue of the conference: Hart House has a unique distinction of being one of the earliest collegiate Gothic Style student center’s which opened to public on Remembrance Day in 1919. 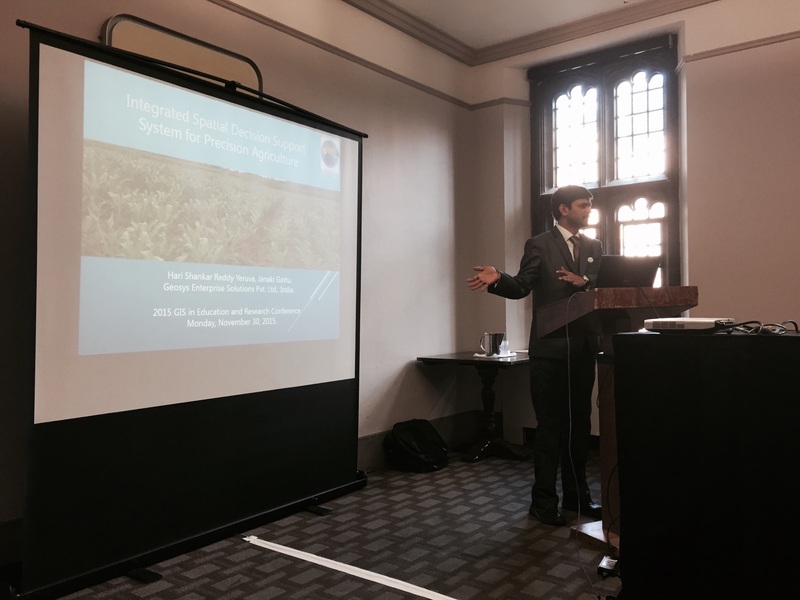 The GIS in Education and Research Conference was primarily aimed at sharing the research findings from all areas of GIS applications while fostering networking among students, professors and teachers from universities, colleges, and schools all across Canada. 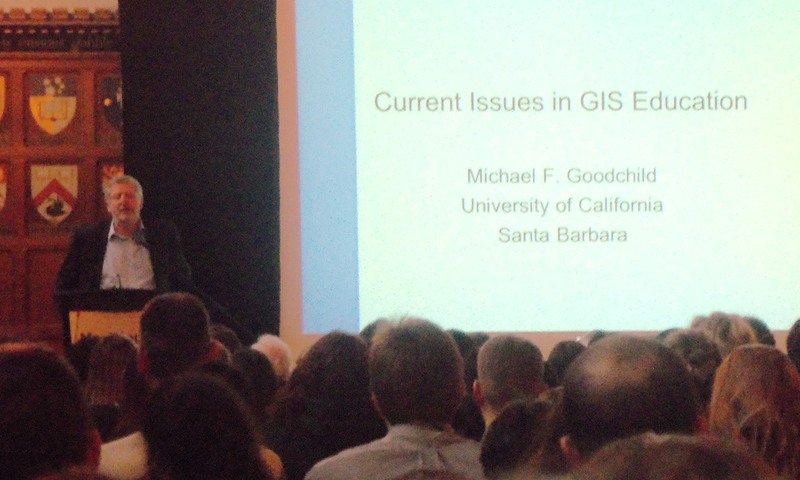 The Conference started with the welcome address by Dr. Brent Hall, Director Education and Research with Esri Canada, followed by a plenary address from Professor Emeritus Michael Goodchild, who presented in detail the challenges of Big Data: Volume, Velocity & Variety. There were three technical workshops conducted by Esri Canada staff which were received with great enthusiasm by the participants and were wait-listed much before the conference started. Story Telling with Maps by Jean Tong, Angela Alexander, Hayleigh Conway. Integrating R with ArcGIS by Cam Plouffe. 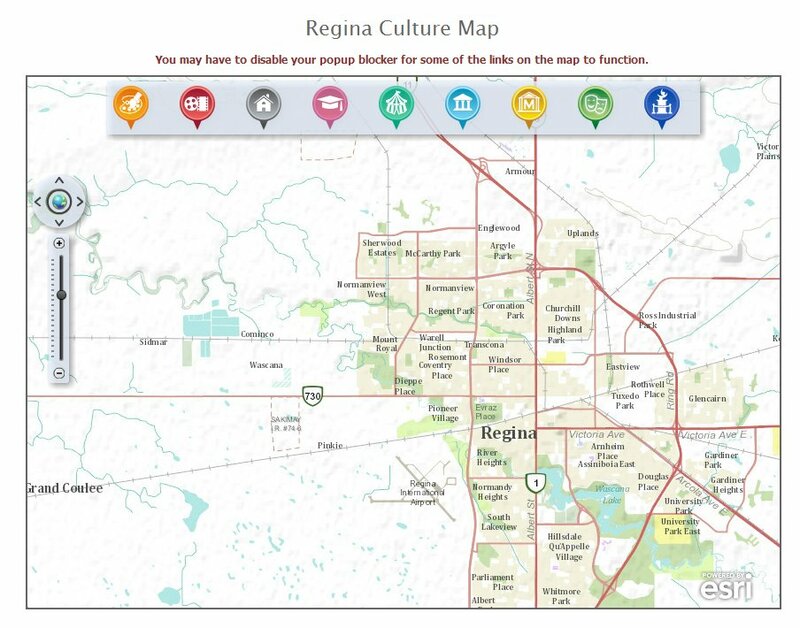 Building Custom Web Apps with ArcGIS by Krista Amolins, Dr.Michael Leahy, Jonathan. In addition, there was a display of Esri Canada Higher Education Scholarship posters from 2015 and submissions to this year’s Esri Young Scholar Award competition. At the exhibitors section there were exhibitor booths by Esri Canada, represented by Jean Tong, Angela and Hayleigh from Education and Research group who showcased the GIS Ambassador Program of Esri Canada. URISA Ontario was represented by Caitlin Blundell who was briefing the visitors about URISA Ontario and their various activities including their Student Membership and Bursary. Other notable exhibitors included Geospatial Niagara and Fleming College. Overall the conference proved to be very valuable to all participants, providing great opportunity to network and learn more about research being carried out by geospatial educated people who drive the Geomatics Sector in Canada. 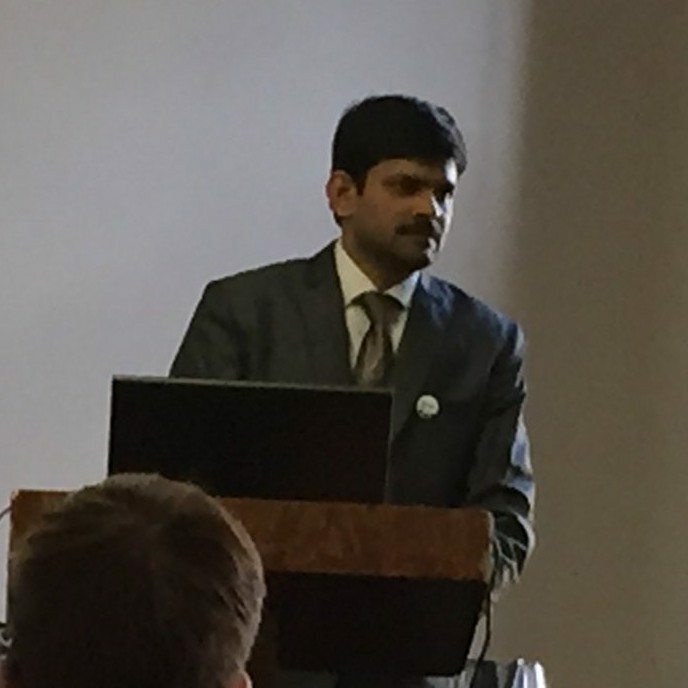 Contributing Author: Hari Shankar Reddy Yeruva, GISP is a Technology Evangelist on a mission to engage with the Professionals, Educators and Students and drive excitement around Geospatial Platforms. As an Evangelist he explores every possible opportunity to reach and inspire technical audiences to successfully discover, understand, deploy and operate the core and unique Geospatial technologies within their chosen domains. He believes in the concept of “desperately learning” and that learning is imperative if we want to solve some of the challenges our world is facing. The Geomatics Association of Nova Scotia (GANS) have announced that they are hosting a Creative Map Competition for Nova Scotian Students for International Map Year. 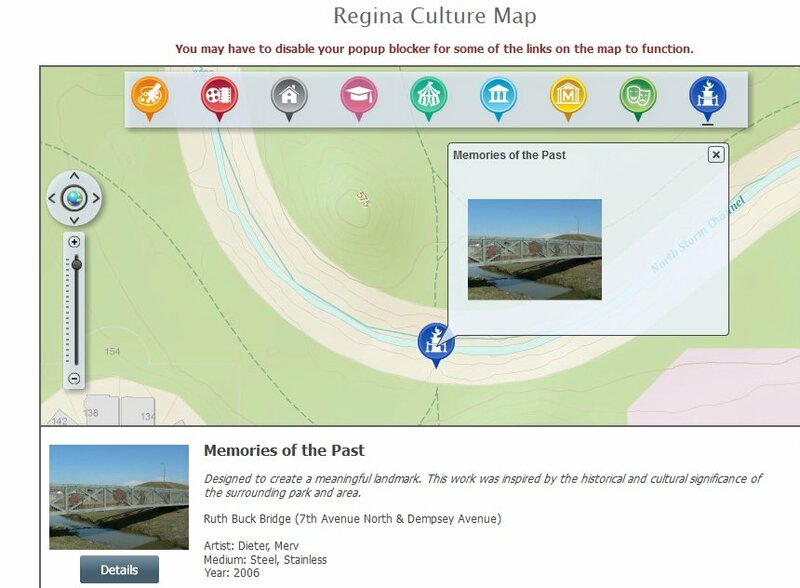 The creative mapping GANS contest is open to students of all grades including post secondary students and is intended to help encourage young people to participate in creative cartographic activities while learning more about the geography, heritage and history of Nova Scotia. Prizes will be awarded to 1st, 2nd, & 3rd place entries in 7 different categories thanks to several generous sponsors including Heritage Trust of Nova Scotia, Centre of Geographic Sciences (COGS), Esri Canada, Geomatics Association of Nova Scotia (GANS) and Canadian Geographic. 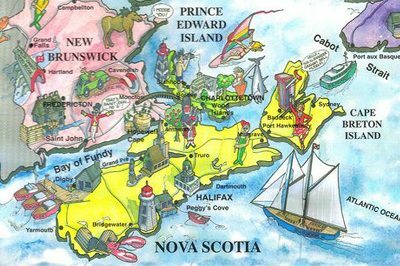 Nova Scotian teachers/students may submit maps, on the theme “Nova Scotia – A Province Rich in Heritage”. 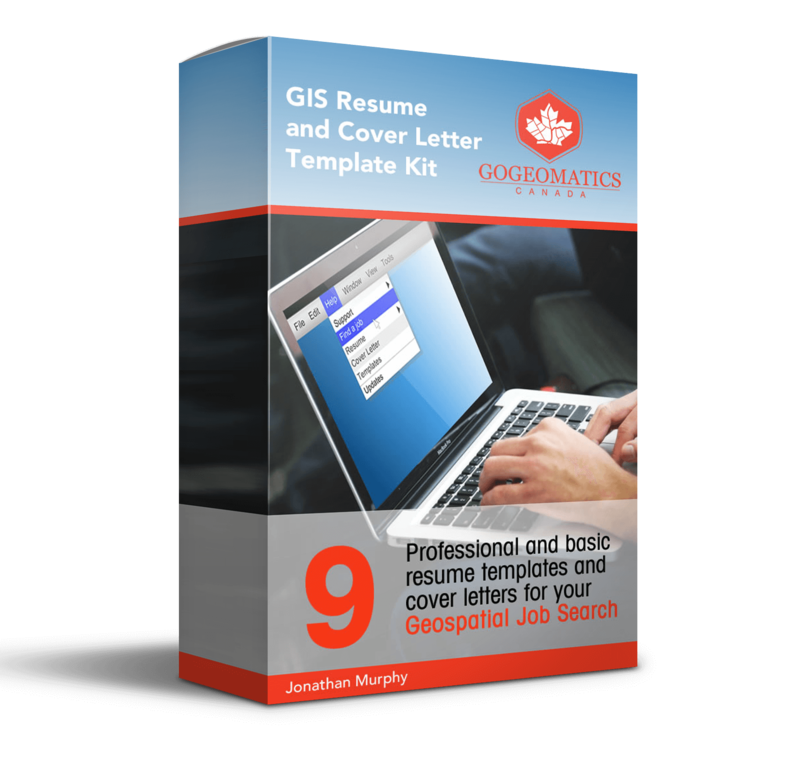 Over the past few years the term GISP (geographic information systems professional) has become pretty popular as more and more geospatial professionals look for a way to demonstrate that they have become more established in their geomatics careers. We originally published this article after applying for GISP certification ( after several years of putting it off and procrastinating) so we could document the process involved as a way to help others who have considered but not yet applied for certification. Since then I have received my GISP certificate and there has been some major changes made to the GISP certification process by the GIS Certification Institute, so we have included details about the changes below the original article. [We are always interested to hear from those that have applied for GISP so if you want to share anything about it then let us know. It is always a debatable topic in GIS themed social networking groups]. A GISP is a certification status awarded to a geographic information systems (GIS) professional who has met the minimum standards for ethical conduct and professional practice as established by the GIS Certification Institute (GISCI). Thousands of professionals in GIS & Geomatics (mostly in the US) have obtained certification and are currently making the most of it to help achieve career aspirations. Employers have started recognizing GISP certification and some are starting to prefer (and sometimes require) professionals with GISP certification when they have a GIS position that needs to be filed. A recent survey done showed that employees who have certification on the average earn more than their counterparts who do not. Still, the geomatics sector needs to emphasis the importance of GIS certification much more before the real value of having a GISP becomes recognized by the geospatial community. It is not just in the area of earnings and wages that having a GISP certification is beneficial. Many certified professionals say that the process of getting themselves certified was extremely helpful. Some have even said that the certification helped them to not only advance their careers but to redefine it as well. They are rightfully proud of their accomplishment and feel that the certification will only continue to become more valuable as time goes by, as it is the most recognized certification for a person in the GIS field. To qualify for the GISP certification, you must meet certain benchmarks in your education and professional experience set forth by the GISCI, as well as various contributions to the profession. The application itself is point-based; you will be given points for different and specific activities in the three categories under consideration. After you have gotten to the minimum point requirement and you have worked for at least four years in the GIS industry, you can then submit you application and start on the process to become a certified GIS Professional. The first thing to do is download the application form from the GISCI website. Your first glance at the application may be intimidating (as the GISCI application process can be rather lengthy and often confusing), however if you have any problems along the way, the GISCI are willing to help. Downloading the form is the simple part. You can either fill it electronically (with PDF version) or you can print it out and fill it out. I imported the application into a word document and typed all my information into it so that it looked more professional when it came time to print it. Next, read through the GISCI Code of Ethics & Rules of Conduct Acknowledgment Form, a document that explains the organization (and you as its certified professional) code of ethics and rules of conduct. It is mandatory to sign an acknowledgement form and include it with your application. The GISCI Procedures Manual should be your next stop, it takes you through the preparation for the application process systematically. There are great tips on the first couple of pages that will benefit you throughout the process. The rest of the document takes you through each component of the application. It is advisable to have your application on hand at the same time so that you can review both documents. The bulk of the work involved in filling out your application is gathering the necessary data. You will need to not just be able to answer, in detail, questions about your education, professional experience, and professional contributions but also to provide documentation that supports the information you included in the application. This was a challenging task for myself as I moved several times over my career and lost documents along the way. I would recommend that people start scanning and saving copies of certificates, receipts, badge tags, etc. that can be used in the application as you get them and not wait till it comes time to apply. After sending in the application, we received digital confirmation that the application was received, and then about 4 to 5 months latter a GISP certificate and pin arrived in the mail. After your certification as a GISP, you are required to re-certify every five years. 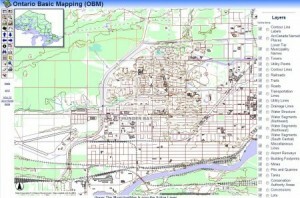 All you need for the re-certification is too prove that you continued working in or participating in the field of GIS. The components are also similar to the original certification application component. They are; Course and Conference (the educational), Contributions to the Profession and Work Experience. 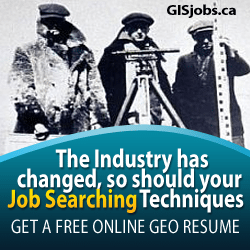 Renewing your certification should be a walk in the park provided you have remained active in the geomatics industry. As of July 1, 2015, people applying for the GISP certification will be required to take and pass a GISCI Geospatial Core Technical Knowledge Exam, as well as meet all the current standards for certification via a portfolio based review based on ethics agreement, education, experience, and professional contributions. 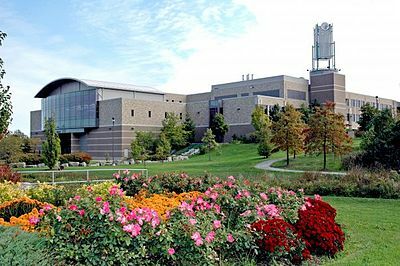 The new GISP certification process will incur a $ 100 application fee, $ 250 exam fee, and a $ 100 portfolio review fee and individuals will be certified for a 3 year period instead of 5 years. Annual renewal fees of $ 95 will be due on the anniversary of an individuals initial certification and be required to be paid in full prior to re-certification. All professionals that were GISP certified or recertified before July 1, 2015 will remain certified under the current 5 year policy and then begin the new 3-year renewal process after that. See GISCI.org for exact details on fees and procedures. According to the GISP Registry on the GISCI website there are now 8110 people who have qualified for GISP certification and 94% of those are from the USA. In Canada there are 342 GISPs registered (119 Ontario, 111 Alberta, 78 British Columbia, 9 Saskatchewan, 7 Manitoba, 7 Nova Scotia, 4 Quebec, 4 New Brunswick, 1 Newfoundland, 1 PEI & 1 Nunavut). [A GISP is not the only recognized certification program in the GIS industry, the Canadian Institute of Geomatics & Esri both have certification programs as well].